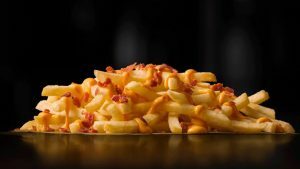 McDonald’s isn’t shy about trying out different promotions, products and sales to get people into their restaurants and to eat their food. There have been a wide variety of McDonald’s specials available over the last few decades that have been wildly successful. They’ve even allowed customers name one of their burgers! And no one can forget their infamous annual McDonald’s Monopoly promotion which is always a hit. This year they’ve introduced the McPick 2 promotion. McDonald’s introduced their McPick 2 menus and it has been a great success. They’ve got 3 different pricing levels for their McPick menu and product offering. Breakfast options are even available at a variety of restaurants! Check out the different McPick 2 menus and their product availability on the different pages linked below. McDonald’s is the most popular and recognizable fast food restaurant in the world. They were founded in 1940 by two brothers, Maurice and Richard McDonald. They implemented a highly efficient production line and helped create the foundation for modern fast food stores. A businessman named Ray Kroc noticed how well they were doing at their main location and offered to help them expand as a franchisee. At first they were reluctant but eventually gave in and allowed Ray to expand the business. He did really well and McDonald’s popularity was rising ridiculously quickly. Ray eventually bought the business from Richard and Maurice and formed the McDonald’s Corporation headquartered in Des Plaines, Illinois. Many of their restaurants are owned by franchisees, though McDonald’s still does own a portion of stores. They are the world’s second largest private employer with 1.5 million employees. McDonald’s owns all of the property that their restaurants occupy and this is a ridiculously valuable asset being worth close to $20 million. McDonald’s plans to move it’s headquarters to Chicago in 2018. McDonald’s has a classic fast food menu featuring burgers, fries, sodas, shakes, ice cream and modern items like salads, fish and wraps. Their most popular item is the Big Mac though the McRib is a very popular seasonal item. They tailor their menu to local tastes in international locations and have a variety of menu items not available in other countries. Their kids meal, The Happy Meal is known by basically everyone and comes with a toy.